I’m thankful that I’m no longer a candidate to be on the next episode of Hoarders. 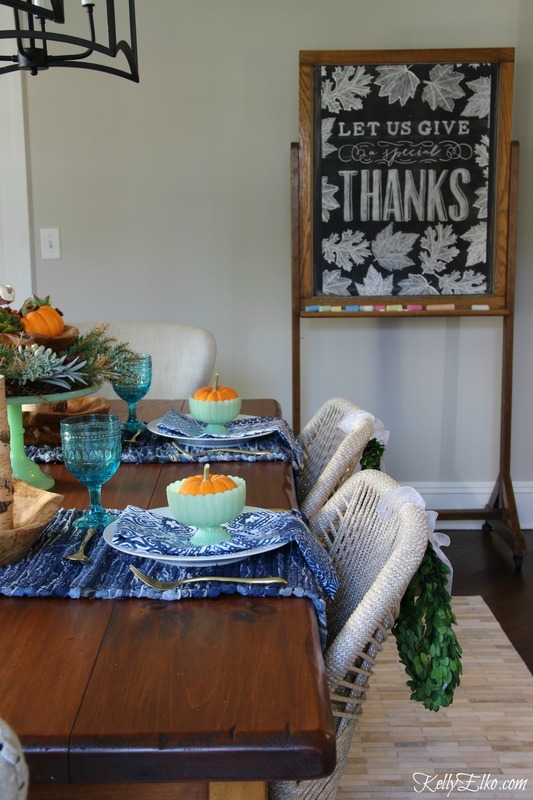 I’m giving thanks for finally decluttering my dining room! After I repainted the first floor with Sherwin Williams Agreeable Gray, I didn’t want to put clutter it back up so I sold my hutch on Craigslist and removed the wine cubbies from the wall. I’m starting with a clean slate and I’m loving it and it’s going to be the perfect backdrop for a huge Tom turkey and lots of carbs. When I was in college, I worked at a Hallmark store and I used to love buying things for my future home like this pair of squirrel pilgrim salt and pepper shakers (obviously I was wild and crazy back then). 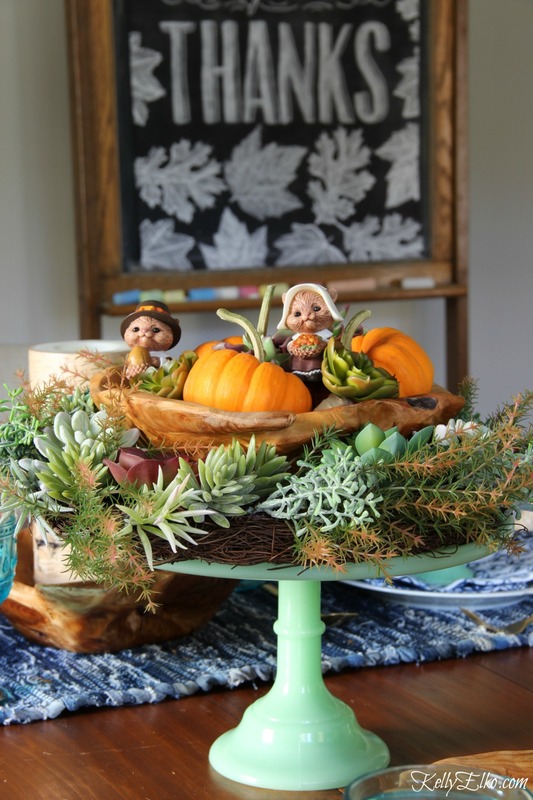 The green cake stand holds a faux succulent wreath with a wood bowl in the center. Remember to keep your centerpiece low so you can actually see who’s sitting across from you (unless you don’t like them, then by all means the taller the better). I love mixing in rustic pieces like these root wood bowls holding birch bark candles (because everyone looks better by candlelight … and after a few drinks). Gold flatware and blue glasses add bling. 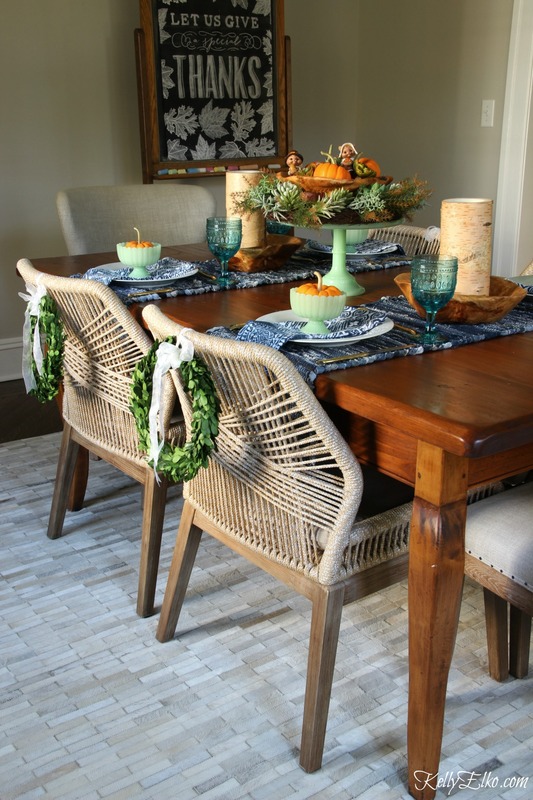 I can’t get enough of these rope chairs and preserved boxwood wreaths add a festive touch. Wishing everyone the long end of the wishbone. I love everything about this look! It is warm, natural and inviting. I must say I absolutely LOVE your sense of humor too! Thank you for sharing these ideas and the links to find them. Thanks Natalie and for getting my humor!! 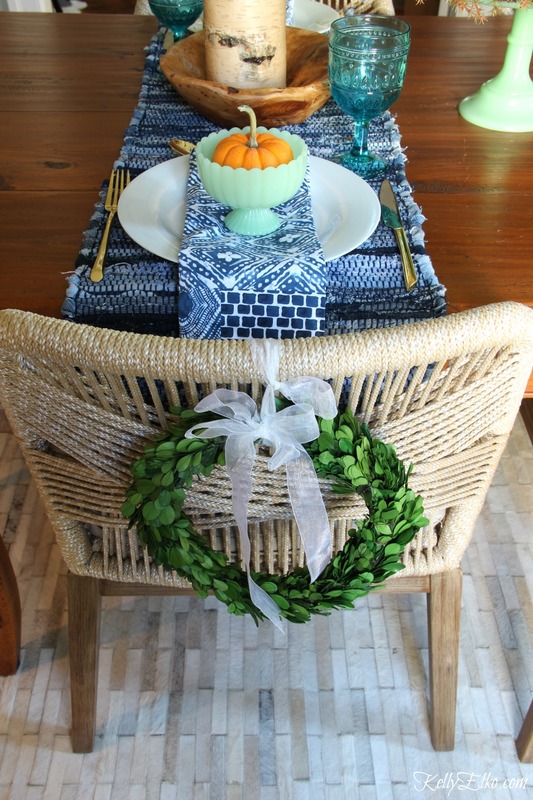 Such a great table setting, love the colors. If my chairs and rug weren’t so new, I’d sell them and get some like yours, you have excellent taste. I would love a new table Marlene – mine is about 15 years old. One day! Kelly, I love the mix of wood and the glassware. It looks so warm and inviting. 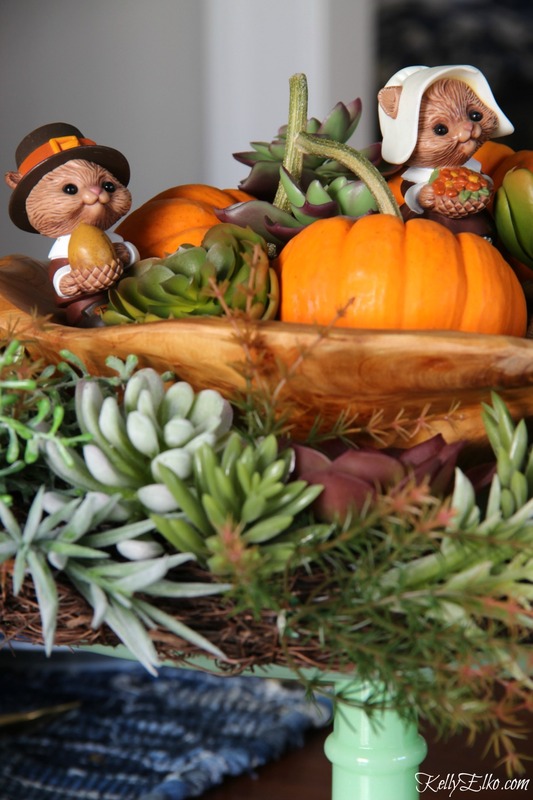 Thanks Pat – wishing you a very happy Thanksgiving!